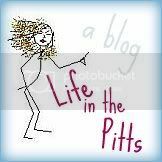 Life in the Pitts: Is this awful? Milk it baby, milk it. He will learn soon enough so take advantage while you still can. Just don't let him read your blog. enjoy it-once you have kids, cute clothes buying days are over! enjoy the cruise! where are you headed? milk it. milk it hard. before you have to spend money on onesies and bibs and cloth diapers. for heaven sakes, dress thyself! MILK IT!!! it will not last so definitely MILK IT!!!!!!! !